The regular physical hygiene regimen of dogs works pretty much like humans’. As humans need to bathe, smell fresh and look presentable most of the times, so are dogs. Especially speaking of Golden Retrievers, they classify as one of the most beautiful breeds of dogs out there. Hence, it is important to live up to these standards and have your Dog Smell turn out good most of the time if not all.Listed below are a few effective measures by which you can ensure that your dog smells good and fresh at all times. Use them to your ultimate advantage as much as you can. This goes without saying. An unclean mouth is bound to give out a foul smell to anyone who ventures close to your dog. So are unclean paws and toenails. Make it point to specifically brush your dog’s teeth, rinse their mouth, and clean their toenails every time you give them a bath. Make sure you do so with only those toothpaste and nail clippers that are specifically meant to be used on dogs and not humans. All the sweat and dirt from daily exercising and playing gets your dog’s coat quite shabby and unclean. 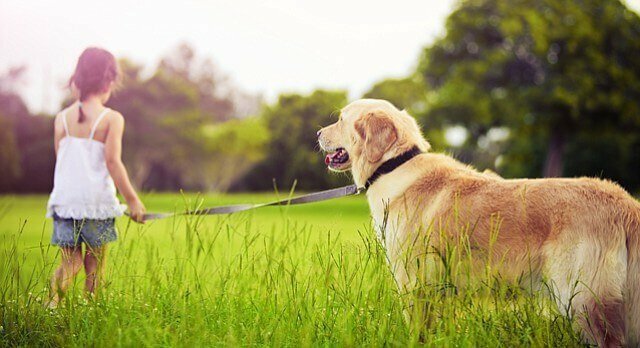 If you are habitual to talking your dog out on long walks, then it is especially recommended that you bathe your dog at least once each day. Use a good quality shampoo to keep the fur of the coat glossy and shiny, especially in the case of Golden Retrievers. Caring For Your Dog’s Ears, mouth, nose, and nails specifically each time you bathe your dog is necessary. This suggestion is nothing but obvious. Here we are looking to get your dog not only looking and being clean but also have them smelling good and fresh. Which is why don’t hesitate to try shampoos of a fragrance that can drive away your Dog Odor. However, don’t go overboard with it, and stick to relevant Dog Smell fragrances only. Make surethere are no such ingredients in the product that happen to irritate or trigger an allergic reaction on your dog’s skin. One of the important Dog Grooming Tips is to change its bedding regularly. It is no news that your dog spends a whole lot of time rubbing itself on its bedding. A dirty bedding is bound to get more dirt and germs on your dog’s coat and will totally nullify every effort that you put into getting your dog clean and smell good. Make it a point to change your dog’s bedding frequently and ensure that it is free of any stains or dirt. If this is done rightly, your dog will remain fresh and smell good for a longer time than you would normally have expected. Untimed meals, processed foods, junk foods, and unhealthy eatables will not only harm your dog’s digestive system but will have them churn out smelly gases too. This can be one of the reasons why Your Dog Smells Bad. You wouldn’t want your Dog Smell turning bad because of this reason, especially after you have made all the efforts on other fronts in order to keep them smelling good and fresh allday long. Which is why you must make sure your dog eats a healthy diet and only at the designated times. If your dog learns how to relieve itself in specific places meant for the act without dirtying themselves in any way, they will definitely not be smelling bad, at least not in that aspect. The trick is to start training your dogs when they are little pups. It is easier to potty-train a pup than a full-grown dog. Sprays or colognes, anything that smells good and is made up of ingredients that don’t harm your dog’s skin can be used around them so that they smell better. You can use such sprays on them, or their bedding. You can even include a fragrant liquid in their bathing water. Whatever it may be, it must serve the purpose without posing any risk to your dog’s and your health. This is only if your Dog Smell is not-so-pleasant despite all efforts you make.Otherwise, a good smelling soap and shampoo will suffice in most cases. Remember that your dog is, after all, an animal. No matter how many measures you take or efforts you make, your dog will still be giving out its ‘dog-like’ smell. All you can do is make that smell a little less unpleasant by employing the above tactics. Also, make sure that you don’t end up compromising the health and comfort of your dog under the pretext of getting it to smell better. Use health-friendly measures and you will never have to worry about your bad Dog Smell ever again.